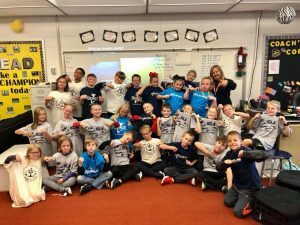 Community Development Manager, Jen Johnson-Ross, spent an entire day working with Spirit Lake 4th grade students discussing invasive species. 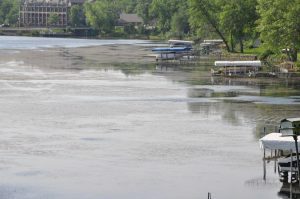 This great group of kids learned about zebra mussels, curly leaf pondweed and Asian carp. 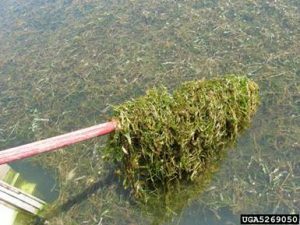 A monster weed is invading the Iowa Great Lakes and no one is sure how to stop it. 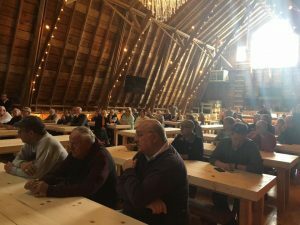 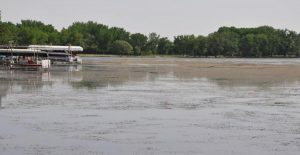 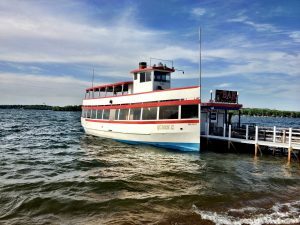 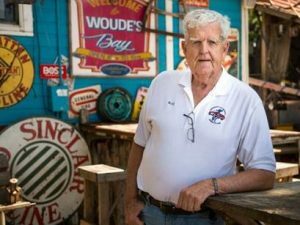 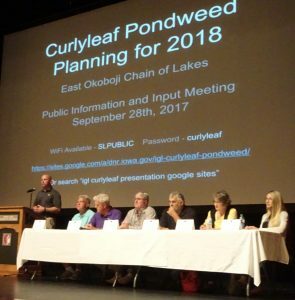 Invasive curlyleaf pondweed has been choking East Okoboji Lake, snarling boat propellers, burning up motors and shutting down swimming, tubing and other water sports in an area that depends on recreation. 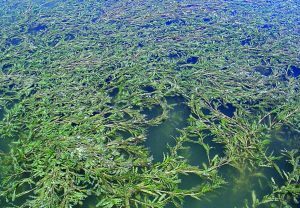 Curlyleaf pondweed was introduced into Iowa in the early 1900’s and is prevalent in all but 2 states in the U.S. 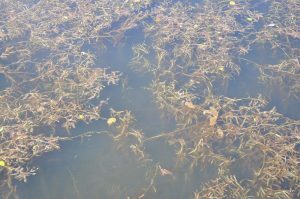 This plant has had extraordinary growing conditions this year as evidenced by the thick mats of this plant that have grown to the surface of East Okoboji Lake.